Do you love the work you do? Do you enjoy the people you do it with? Do you clearly understand the demands of your job and feel equipped to meet those expectations? Do you feel supported by management and the environment to always do your best work? If yes, congratulations! I’d love to hear from you what you think makes it so. If not, then The Relationship Center might be your answer. Whenever there are difficulties in the work environment, W. Edwards Demming taught that most problems are systemic problems. So The Relationship Center does not look for individuals to shoulder the blame of what is happening at work. Rather we look together, with employees and management, at what problems might exist within the system and how together we can alter the system to create the environment that will foster a productive, cooperative, inclusive, unbeatable environment. Let’s look at what some of those issues could be. 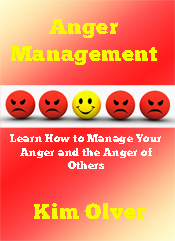 You might be in charge of customer service, but never taught how to manage anger effectively. You could be a middle manager and not have the skills you need to supervise the people who used to be your peers. You may be a member of a minority who feels you must behave like the people in charge or you will not fit in or be considered for advancement. You may be a manager who believes the way to get your employees to do their best work is to manage through fear and intimidation. You may be an employee managed with fear and intimidation. Your workplace may be filled with gossip, oppression and back stabbing. Do you find yourself being punished, instead of encouraged, when you engage your creativity? Are you managed by people who are wonderful one day and Attila the Hun the next? Do you love the work you do but have difficulty doing it to your satisfaction? If any of these situations exist in your workplace, then you have systemic challenging to overcome. 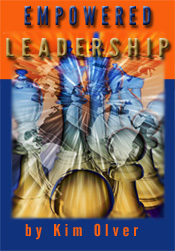 The Relationship Center can help through training, consulting, and coaching. We will do a thorough assessment of your system, making written recommendations for change. We will then provide training to bring people up to speed on the new expectations and behavior. And following training, we will do coaching with the key people who will be responsible for sustaining these changes to help them stay on track. The trainers and coaches at The Relationship Center understand the importance of coopertive, supportive relationships at work. We also know that people are motivated from the inside out to do quality work. Our job is to help you tap into your worker’s internal motivation. We also have experts in diversity on our team. 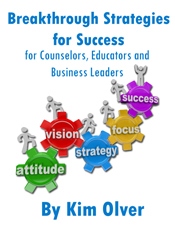 Kim Olver and Sylvester Baugh co-authored Leveraging Diversity at Work: How to Hire, Retain, and Inspire a Diverse Workforce for Peak Performance and Productivity. We have programs on Deescalating Anger, Goal Attainment, Empowered Leadership, Supervision by Coaching, Team Building and Improving Morale. We also create training programs specifically for your needs. We also have multiple ways of delivery the information, designed to fit every budget. We have tip sheets, eCourses, podcasts, on-site training, distance learning, keynote speeches for your event, and coaching, in-person, skype or telephone, individual or group. It is not only possibly, but essential, for you to take an honest look at your work system, with all its strengths and flaws, so your business can improve or transform what you are already doing. Everything changes. If all you do is maintain the status quo, it won’t be long before many others will pass you by. What are you waiting for? Let’s get started today! Go to our workshops page for a full list of Personal, Business and Education workshops we provide.